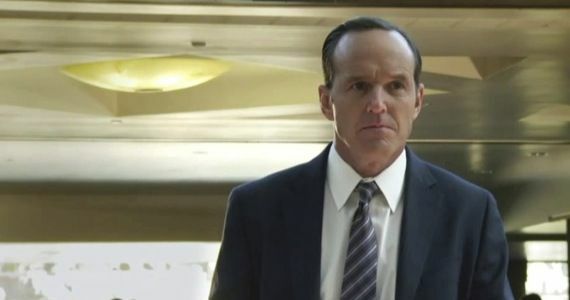 This past Sunday, ABC and Marvel released a 30-second promo for Agents of S.H.I.E.L.D. ; it teased The Avengers writer-director Joss Whedon's new TV series - which is now officially set to air on Tuesday nights beginning in Fall 2013 - and the return of Clark Gregg as fan-favorite Phil "His first name is Agent" Coulson, who is alive and well despite (apparently) having been skewered by Loki's staff during his last onscreen appearance. Whedon's show will reveal the whole truth about Coulson and S.H.I.E.L.D. head Nick Fury's deception in the first Avengers movie installment. However, today we have the Agents of S.H.I.E.L.D. extended trailer, which is focused on introducing the new additions to the Marvel universe - and teasing what life is like, now that the rest of the world knows about the existence of aliens and superheroes - as well as the "unclassified" specimen that Coulson and his team must attempt to keep a lid on. Rounding out the Agents of S.H.I.E.L.D. cast are Ming-Na Wen (Stargate Universe) as Agent Melinda May, Elizabeth Henstridge as Agent Jemma Simmons, Iain De Caestecker as Agent Leo Fitz, Brett Dalton (Killing Lincoln) as Agent Grant Ward, Chloe Bennet (Nashville) as Skye and J. August Richards (Angel) as a yet to be revealed super-powered individual. The majority of the extended Agents of S.H.I.E.L.D. trailer is devoted to expository dialogue, setting up the characters and establishing the pecking order, with Agent Coulson and Maria Hill (Cobie Smulders, who appears in voice-only here) being the top dogs. However, it still manages to slip in some of Whedon's famous self-aware zingers ("... And what does that mean to you?" "It means someone really wanted our initials to spell out shield"). Besides the truth about Coulson's return from the dead, the other big topic - which remains open for speculation - that this promo calls attention to is the identity of Richards' character. Many fans have already begun to speculate that he could be a well-established Marvel superhero, with the guesses ranging from Luke Cage (doubtful) to the more-obscure Rage (still kind of unlikely). Chances are good, though, that Richards is playing a character who was created specifically for the Agents of S.H.I.EL.D. TV show (like most of the main players). Whedon and Marvel President Kevin Feige has gone on record in the past, saying that they're still working out how to incorporate guest star appearances from residents in the larger Marvel Cinematic Universe; that includes, whether or not to introduce iconic superheroes in the TV show. Marvel’s Agents of S.H.I.E.L.D. begins airing on ABC this fall on Tuesdays at 8 p.m. ET. On the film side, Iron Man 3 is in theaters, Thor: The Dark World released on November 8th, 2013, Captain America: The Winter Soldier on April 4th, 2014, Guardians of the Galaxy on August 1st, 2014, The Avengers 2 on May 1st, 2015, Ant-Man on November 6th, 2015, and Doctor Strange sometime after that.